At the first step we make analysis and audit of the all the information provided to us from the customer. We discover all requirements, features and conditions. At the second step, we try to find out all user tasks and scenarios, simulating users behaviour and planning the best shortest way to fully understand all project’s details and find shortest right way for problem solving. We draw sketches and wireframes trying to find the best way to use control units and locate essential elements. 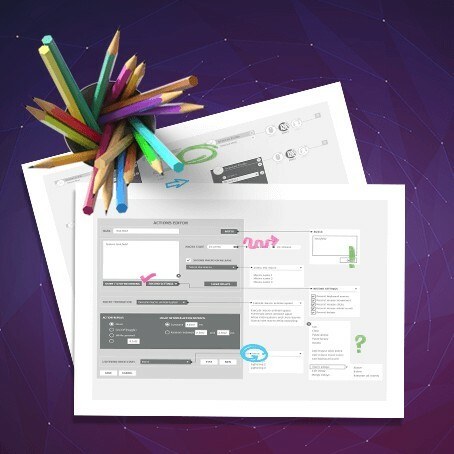 One of the concepts developed from wireframes will be implemented to all layouts, screens or pages. At the last stage final revision and usability tests are being done inside of our team. If needed, we also involve independent users for testing and reviewing the interface.